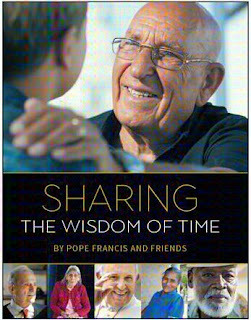 Indian human rights activist Fr Cedric Prakash's story "Love", based an interview by journalist Rosemary Lane, finds its place in “Sharing the Wisdom of Time”, a book by Pope Francis " and friends ". 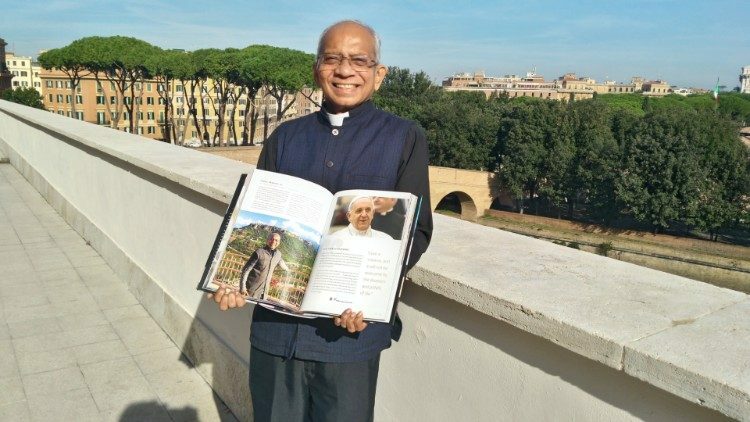 The concerns the time when, after having spent a long time working on a document, highlighting passages and scribbling in notes and sub-notes, a friend came up to Fr Cedric and spilled his whole cup of coffee on it. Fr Cedric was instinctively upset, as loves to put down words, phrases, ideas on plenty of sheets of paper, jotting down things in what he terms "ugly scrawl”. He recalls, “It was several hours of work gone – it was all blotched, nothing to be saved, as the pen I was using was one of these fluid ink types... I didn’t know what to do”. The story finds appreciation, among others, from the Pope, who said, “The story of Father Cedric helps us understand that we must go beyond the inconveniences of life… maybe with a sense of humour, and certainly with the conviction that all things can be resolved."